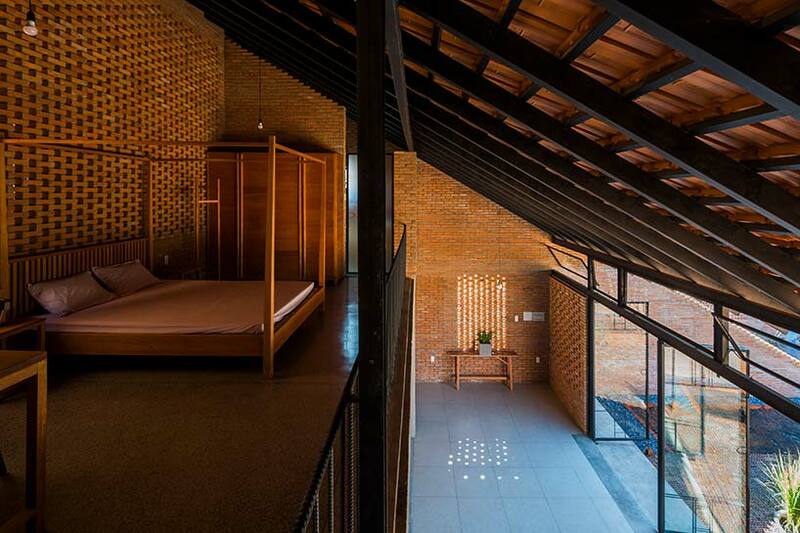 In rural Vietnam sits a home called “Long an House,” with a unique and ultra-contemporary design. 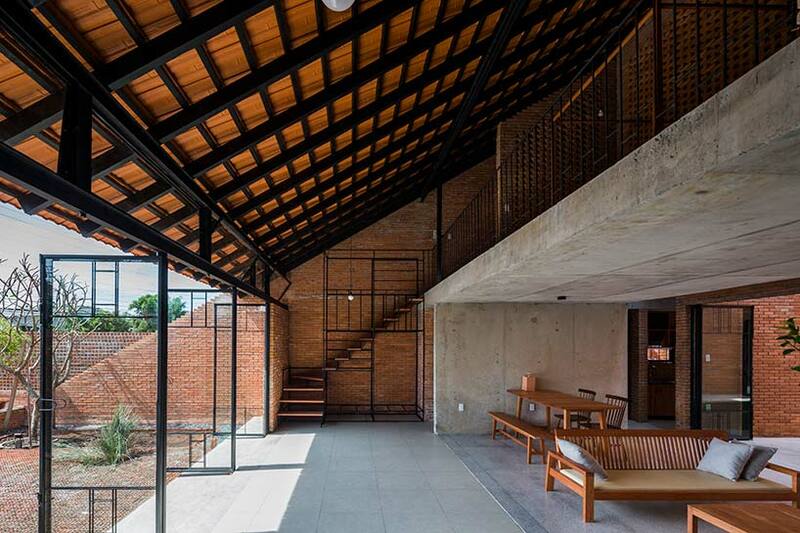 Comprised of two angled exterior walls that draw the eyes upwards towards the roof of the home and lead to the second floor, the interior space is even more interesting than the external architecture. Designed by Tropical Space, a design firm in Vietnam, the residence also has a chicken house in the backyard and a pool on it’s ground floor. 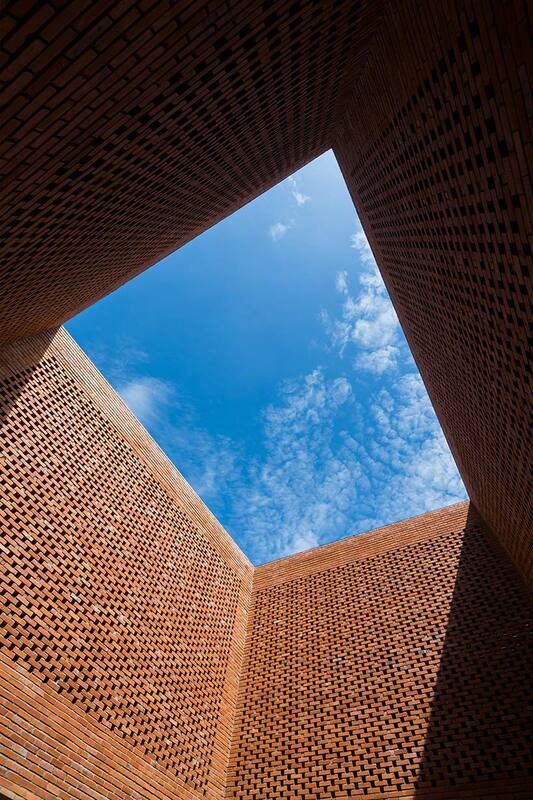 When first walking into the space, residents and guests are greeted by a large reflective pool surrounded by a soft gray concrete in the central courtyard.The soft gray concrete stands out especially against the red brick which surrounds it and makes up the walls and roof of the home. The combination of brutalist and urban chic design can be seen here. The beauty is that many structures built in this style aren’t often seen in rural areas but they are becoming more popular. A tree peacefully grows as part of the pool design and sunlight illuminates the entirety of the space through different openings above on on the sides throughout the home. 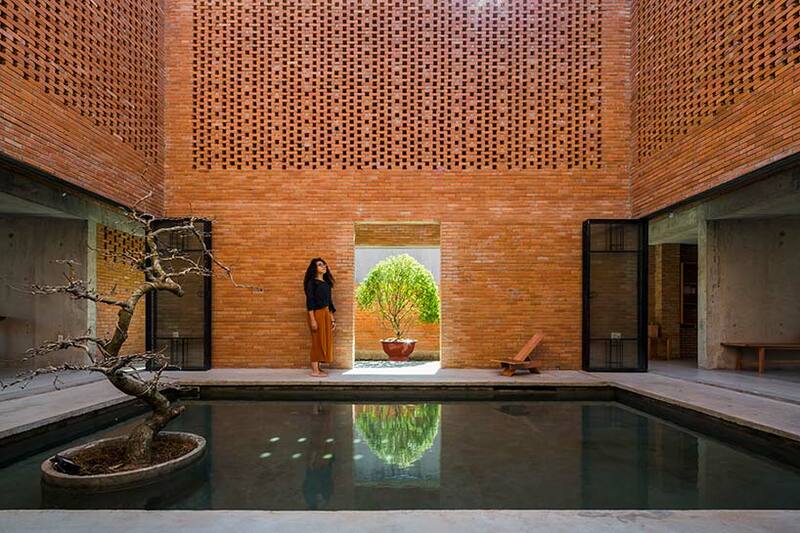 The brick walls and wooden furniture, give it both a warm and sheltering feel while the tree, the pool and the many windows and openings connect it with nature. Plenty of natural light and air can enter the dwelling. 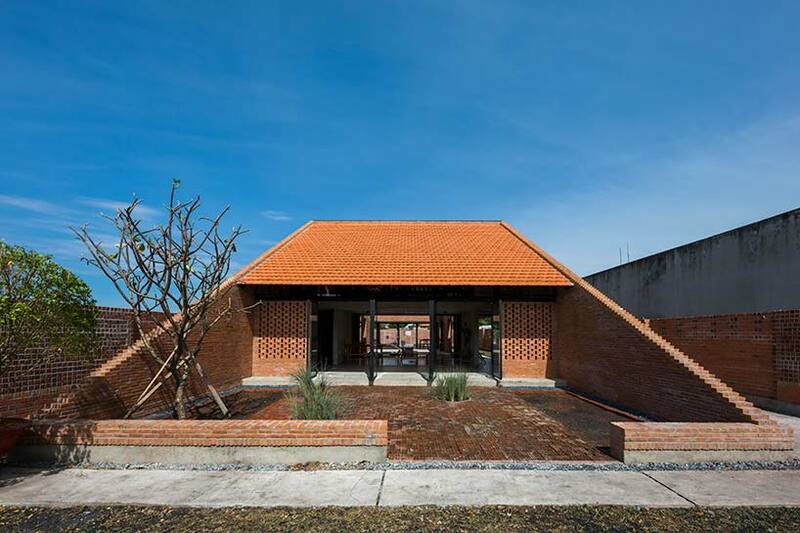 The trapezoid façade of the house provides a symmetry throughout the design. With a separate wing in the home dedicated to cooking and meal preparation. Traditionally, this separate wing is of major importance to the home typology in the region. As cooking together is a large part of the guests and families social activity to connect and share.